Ok, well, Frankie and Derrick are your new HOHs. I mentioned last night that I thought it would be Frankie and it happened. The intended target is still Donny, but getting there was more trouble than expected tonight. After the feeds came back there wasn't really a whole lot of talking done. Derrick did first talk to Donny and tell him that there would be a chance of him going up if it was what everyone in the house wanted, but that Victoria would likely be the intended target. He basically just prepped Donny and made sure that he wouldn't be TOO angry if he or Frankie put him on the block. He talked a lot about Team America stuff etc.. I don't know if Donny bought it or not because he went to bed shortly after the HOH reveal. He seemed ok with it at the time, but really, what choice does he have? Prior to talking to Donny, a lot of the members of The Detonators/Bomb Squad/whatever the hell you want to call them now had talked in the bathroom and first agreed without Zach there that he would be the one going up next to Donny and expected to throw the competition to keep Donny on the block, while 2 of their other members went up on the other side to win the competition and achieve safety for the week. Zach came in on the conversation and agreed that he would do it. Later Derrick pulled Zach into the Hive Room and talked to him about this past week and about his feelings on the whole thing. He told him he was proud of the way he played this past week and that he felt like after their talk on Saturday night after the fight, Zach had really not run his mouth much and had done much better with the game. Zach told Derrick that he really didn't want to throw the competition and he just didn't feel safe doing that at this juncture in the game (Can you really blame him?). Derrick said he needed to voice his opinion and say everything he felt in the meeting the alliance had planned for later when they were to decide nominations. Derrick and Frankie had a short talk and decided that while they would tell everyone else they played "Rock Paper Scissors" for who would stay HOH, ultimately they were going to let Derrick stay HOH so that Frankie could play in the competition this coming week which will likely be endurance. HOH room reveals were then made and Frankie squealed and carried on about his Ariana Grande CD and his Ariana Grande pictures etc.. etc.. Then it was time for the nominations talk. Derrick told Victoria to stay downstairs for a while and let them talk because she was safe and not being nominated this week. Zach immediately voiced to the room that he wasn't comfortable going up and throwing the competition. He asked Christine and Cody what they thought. Christine immediately said "well I don't want to be the one to go on the block!" Cody agreed that he didn't want to be the one to go up and throw the competition either. BUT, as we all know, it's always Zach's fault, so the anger from Caleb, Christine, and Cody was immediately aimed in his direction. I mean...he is supposed to completely trust them to keep him in the house even though they almost voted him out twice...right? There was a lot of threatening by Caleb to Zach telling him that if he were to win the BOB with Donny and not throw it, he would be the target of all of them next week. Everyone else who didn't want to be nominated was mostly silent, and Frankie kept explaining over and over again how this week was a fool proof plan and that there was NO WAY the person going up and throwing the comp would be going home. Zach finally agreed that if he was the one to go up he would have no choice but to throw the competition for the alliance, but suggested that they draw skittles and whoever had their color drawn first had to go up next to Donny while the next two colors drawn would go up on Frankie's side and dethrone Frankie. Christine's skittle was drawn to go up next to Donny. Caleb and Cody's skittles were drawn to go up on Frankie's side. Zach's orange skittle was never drawn making him not an original nominee this week. Caleb was extremely pissed off at Zach and went downstairs and talked to Derrick for a while. Caleb at first really wanted Zach to be the backdoor target this week for not being the one to agree to go up and throw the competition. Derrick talked him down and explained that they HAVE to get Donny out if they put him up because for one, they don't want him coming after them, and two, someone could be coming back next week who would work with Donny against them. So Donny has to be the target this week unless he wins the POV. Everyone else filtered into the room after a while and Zach eventually explained to Caleb that he would have thrown the BOB if he had to, but that it would have been emotionally hard for him to do it because he has watched Donny cry to him in the Have Not room and he just didn't want to do that to him. He volunteered and said he would be more than willing to go up against Victoria next week if needed, but that doing it to Donny was hard for him. Caleb eventually told him he wasn't mad at him anymore and said he was just irritated with how the whole thing went down. Silliness ensued afterwords and Caleb started beating Victoria with a pillow and dressing up in various props to do Ninja moves and chase Victoria around the house. Crisis temporarily averted. When Cody got some alone time with Christine, he told her that he didn't care WHO she went up to in the house, he would never EVER vote her out. So, I guess they have a final two deal now. Meanwhile, Victoria was in the other room complaining to Derrick about how Cody and Christine are stuck up each other's asses. I don't see Derrick letting that relationship go on much longer. He likes to take Cody's play things away to keep him focused on their final two. 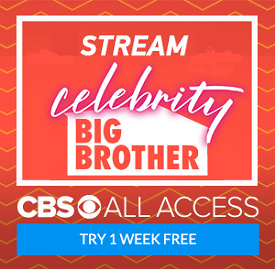 So the plan now is for Christine and Donny to be nominated by Derrick and throw the BOB to Cody and Caleb who will be nominated by Frankie today. Christine is going to pretend to be ill from something she ate and try to sabotage the competition. Then, when veto is played, if anyone outside of Donny or Victoria wins the POV, they take Christine off of the block and put up Victoria to keep up the charade to Donny that Victoria is the target. If Donny wins POV the plan of the group is for Victoria to go home, but I have a feeling it would be Zach instead. The POV will be Zingbot this week, and Zingbot is usually a puzzle, so Donny winning is a big possibility. ...and your prediction if Donny wins PoV that Zach will be voted out seems to be the case, based on the latest talk going on in the house. Ash you are psychic! I had a sinking feeling when you mentioned that Frankie was memorizing all of the information, and yeah you called it, the creep won. I still am holding out hope for Zach. Yeah, I'm hoping Zach survives the week, but honestly his chances are not any worse for staying off the block than they would be for going up with Donny. Had he been the scape goat again and gone along with the plan and Donny won veto he would go home. If Donny wins veto now, Zach will go home. Same result just different path to get there. Cody actually stated he would want Frankie backdoored instead of putting Zach up, but Derrick would never let that happen because of the Team America thing. I also know people love Donny and want him to stay, and I like him too, but I don't think he is really playing anymore. He slept through the HOH clues and didn't get them until Nicole offered them to him before she left, and he has yet to even really go upstairs and try with any of the HOHs in the past few weeks to plead his case or provide a reason why he would be good for their game. In my humble opinion, it would be better for Donny to go out this week and have Hayden or Nicole win the competition to return to the house so that at least ONE person who knows the deal in the house and would try to do something about it would be in there. I just think that would make things a bit more interesting to watch game wise. I agree. Donny has given up. We all know there is no way Jocasta will win the comp to come back in the house (and if she does, well then we all know that Jesus himself is a BB fan), so I am rooting for NIcole, not because she's a great player but I think there should be more females in the house. Ash have some faith. I just read your article and you already said who is going home. Christine will be leaving this week if she throws battle of the block and loses veto. You said that Derrick was noticing that Victoria said that Christine and Cody are stuck together and Derrick could be threatened by that and he will want to take away his toys. Well you get rid of another female just like how he did with Brittney, Amber and Nicole. Derrick knows Cody doesn't like Zach so there is a good chance they won't make a final 2 deal. Plus Caleb will be the voice of reason and say Christine was going to be a target anyway and it's time to vote her out. lol. It's not about faith. Caleb WANTS Zach out this week..even over Donny. He is furious that Zach didn't go on the block. Derrick believes that Zach will turn on them if Donny wins veto and they keep him. Derrick and Cody have already agreed that Christine isn't going anywhere. If Donny comes down, Zach goes up and they all vote him out. Things are always subject to change, but as of right now, Donny is going if he doesn't win veto, and if he does, Zach is going. That's just where things stand.